Discussion Authorization exception... permission issue? or valid WDL/method name issue? 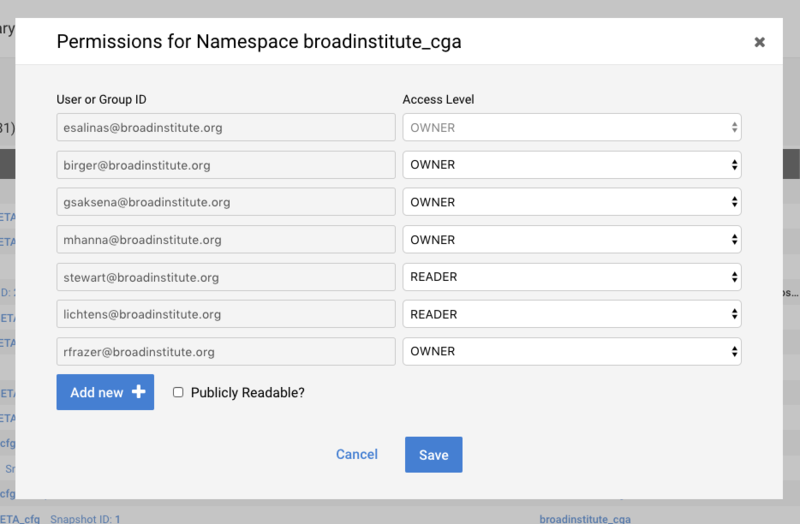 Error: Authorization exception for user [email protected] attempting to exercise permission Create on entity broadinstitute_cga.WXS_hg19_MutationCalling_MuTect_v1-6_BETA.-1. Is this really a WDL method-name error/issue (such as invalid character in WDL name), but the permission issue is not really the issue? @abaumann and I chatted at office hours and saw that the method already exists, but that I don't have OWNER on the method. @abaumann suggested that the error message has room for improvement. I'm glad you were able to get help at office hours to solve your problem. I will make sure there is a ticket in for improving this error message so it isn't so confusing for the next person to encounter it. but it doesn't look like any character I have is invalid. I notice that there is a "-1" which I guess is a snapshot ID. I notice that it's negative one. Isn' that a system-generated number? I tried again this morning, and got another permission error message, the same message as before. I next tried again but with namespace="esalinas" (my username) and was successful in the WDL upload. So, it seems like I get a permission error even though I'm an OWNER on the namespace? I copied/pasted a screen crop/shot showing that I'm an OWNER. @birger is also an OWNER on the namespace. I showed him what was going on and he removed me from the namespace, then added me as READER for it, then finally made me OWNER. After that I tried again, but was unsuccessful with the same 403 error message.